With Tiger Muay Thai and MMA Training Camp Chiang Mai, Thailand slated for a full grand opening by February, here is an in-depth look at the future of the camp from those who are in the know. With Muay Thai training already underway but numbers low, current guests are getting the kind of one-on-one attention from world champion trainers most only dream of! Every week we will give you a glimpse into what TMT Chiang Mai is all about, how they are progressing, and everything in-between! 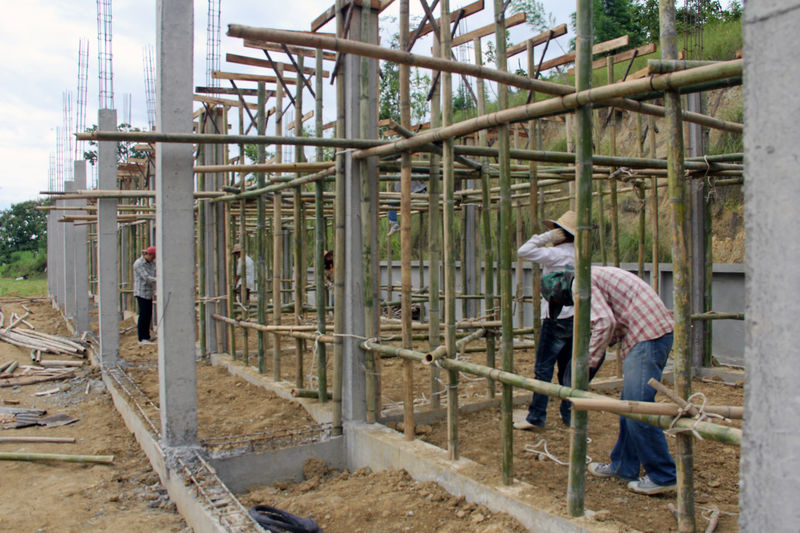 You can’t build a house without a foundation, and for the TMT Chiang Mai accommodations there were no exceptions. The 2.76-acre camp will have 34-budget rooms on two floors with a plan for future expansion to four floors. 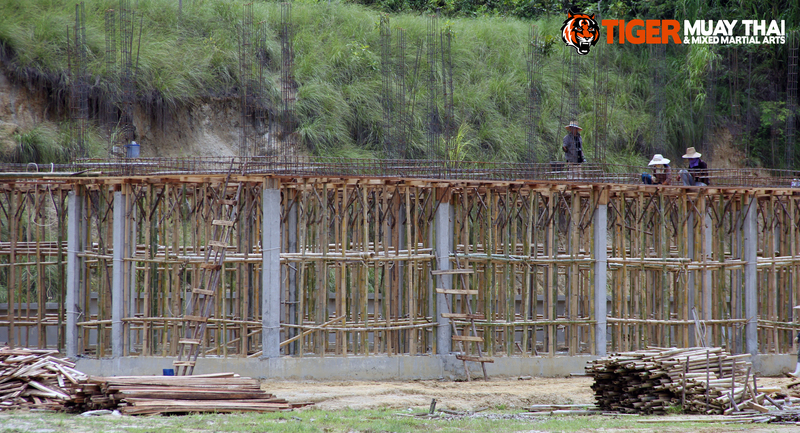 On July 2, workers broke ground on the site and began building the foundation to what will eventually become the other home of Thailand’s best Muay Thai and MMA training camp. The rooms are expected to include a TV, dresser, DVD player, fan, and have wallet-friendly pricing. As it stands, the construction of the accommodation area does not affect the the training area since it is in a separate part of the camp. Since the camp is located in the Mae Rim area, several guests have stayed semi-locally and chosen the Maerim Whale Park about 4Km away, a cozy place where 9,000 Thai Baht a month will get you a tv, fan, and small refrigerator. 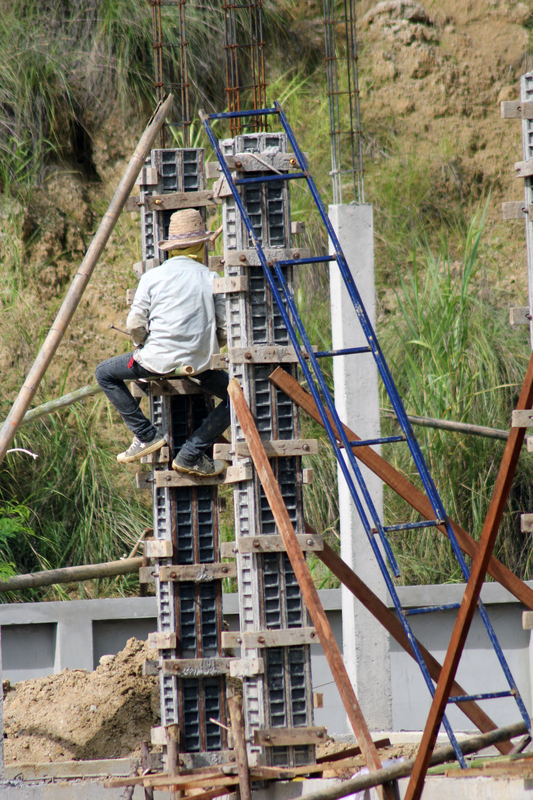 The TMT Chiang Mai accommodations are coming on fast, as workers are halfway through making the concrete uprights and frame for the building. 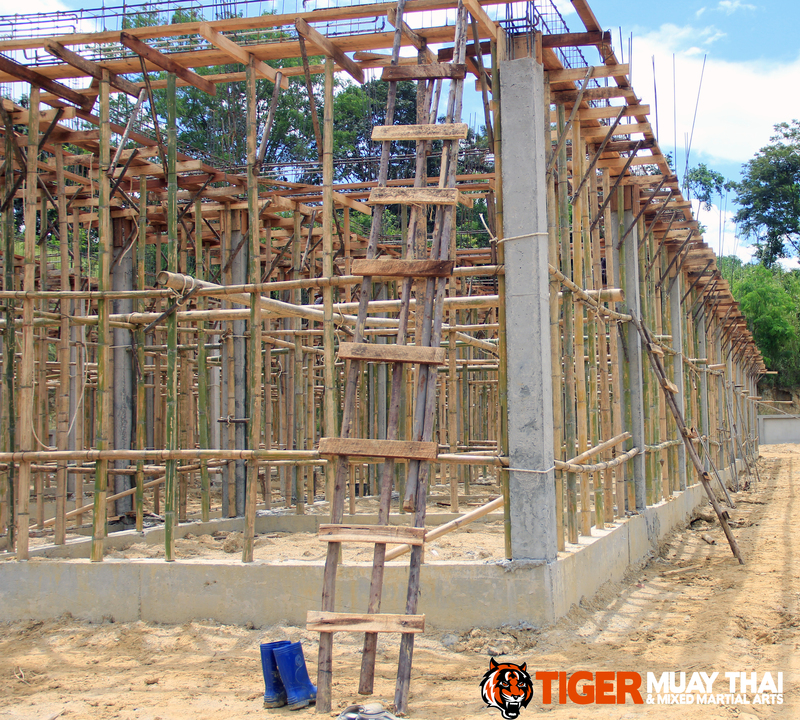 Rainy season has slowed down construction a bit, but the official opening for the Muay Thai training portion of the camp is still on track for the next couple of months with the full opening only a few months after that!